The appearance of Gael Kakuta as a second-half substitute for Chelsea last Saturday inevitably provoked widespread debate. This was, after all, the player at the centre of all the controversy surrounding the club’s impending transfer ban. You would never have guessed though. This cameo showing gave an insight into just why the Blues may have been prepared to go to extreme lengths to secure his services, because if Britain’s got talent, then so has Kakuta. Granted, when he entered the field of play it was more or less party-time anyway. The game was beyond any doubt, Joe Cole and Michael Essien were pulling the strings, and Wolves simply wanted the referee to put them out of their misery. However, given all the furore surrounding his transfer, the youngster could be forgiven for not hitting the ground running. Well, tell that to poor old Richard Stearman; it would have been easy for Kakuta to keep it simple on his professional debut, but it appears there is nothing simple about this young gem, as he showed by turning Stearman inside out within a minute of coming on, before firing inches wide. That was just the start. From that moment onwards, every time Kakuta was involved, the 42,000 inside Stamford Bridge held their collective breaths and lurched forward to the edge of their seats in anticipation of what was to come, in a similar vein to the way they did when Arjen Robben first burst on to the scene in west London almost exactly five years ago. It’s important not to get too carried away with young players, particularly those that have been talked about in such glowing terms. However, on this evidence, Chelsea appear to have some player on their hands. It was only a fleeting appearance, but surprisingly for a creative player, especially one so inexperienced, Kakuta is very disciplined. Though clearly blessed with an array of skills that your average midfield workhorse could only dream of, he doesn’t want to do it all on his own. With a first touch to die for, coupled with the ability to spot and execute a killer pass, Carlo Ancelotti will be wrapping him up in cotton wool over the coming months. It isn’t often that this is said, but Chelsea could be the perfect club for Kakuta. A player of his talent will get games, but he won’t play every week, not by any stretch of the imagination, and in the long-term that can only be a good thing. He is also surrounded by experienced heads who will give him the right advice and encouragement, players such as John Terry, Frank Lampard and Michael Ballack, not to mention fellow countrymen Nicholas Anelka and Florent Malouda. One player Kakuta could certainly benefit from talking to is Joe Cole. Cole, like Kakuta, was a hot teenage prospect. The burden on his young shoulders was even bigger given the fact he was English. All the talk of him being the “new Gazza” seemed slightly unfair, even though it was meant as a term of endearment, but Cole, to his credit, took it all in his stride and made the breakthrough under Harry Redknapp at West Ham. Later in his career Cole came under fire from Jose Mourinho, when the self-proclaimed “special one” questioned his ability as a team player. Never one to sulk or moan, Cole went away, worked at the areas of his game Mourinho had criticised, and became a better player. He is certainly someone Kakuta could learn from. It’s been a busy week for the young Frenchman. After his exploits against Wolves on Saturday, he was back in action on Monday night in slightly more familiar surroundings – a Chelsea reserves home match against Birmingham City – before heading off with the senior squad for the Champions League trip to Porto. 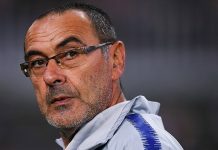 Whether or not he will be included in the squad for Sunday’s massive clash with Arsenal at the Emirates remains to be seen, though if the Blues are chasing the game late on, he would certainly be a viable option. With Nemanja Matic, Fabio Borini and Jeffrey Bruma all developing and getting a taste of big-game action recently, not to mention the continued progress of Sam Hutchinson and Miroslav Stoch, it appears Frank Arnesen might not have been sitting in his office, twiddling his thumbs and picking up a giant pay-cheque after all. The emergence of Kakuta alone, however, should be more than enough to bring a smile to the face of any Blues’ fan, regardless of the circumstances he was acquired in.